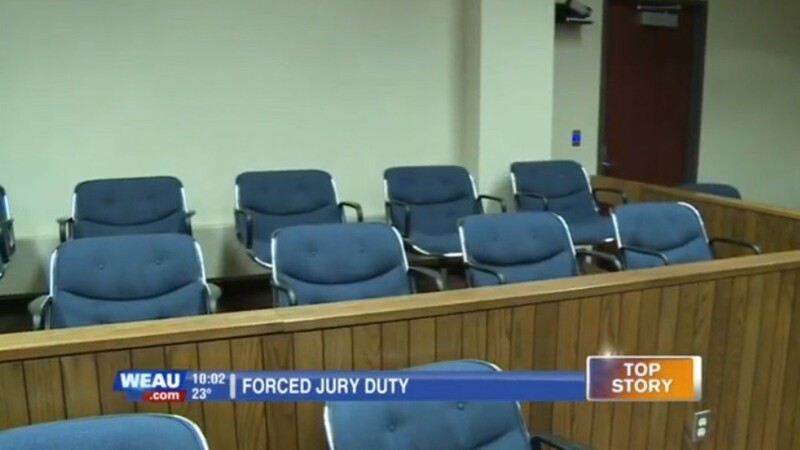 Eau Claire County, Wisconsin – According to multiple recent media reports, Eau Claire County police officers were sent out onto the street to select people at random and forcibly take them in for jury duty. Ironically, after these people were threatened and had their day wasted, the judge in the case decided that the jury was unfit and dismissed all of them! “We did talk about cases like this where a number of people have to go out and get people summoned to the jury,” Eau Claire County Sherriff Ron Cramer told reporters. Susan Schaffer, Eau Claire County Clerk of Courts was the official who gave the orders, saying that the Wisconsin Statute on “Insufficient Jurors” allows them to forcibly pull people off the street to serve in juries. “It’s something that doesn’t happen very often. It just so happened that today was a day that we just needed more. The court can order the Sheriff to get people right off the street,” Schaffer said. According to WEAU, that is exactly what Eau Claire County police officers did. The officers reportedly aproached people at random on the street, asked them their age, if they were a resident of the town, and if they had a felony conviction. Depending on the answers they gave the officer, they were told that they had no choice but to go to the court house and serve on a jury. The Sheriff’s Department was instructed to “physically” bring in people for jury duty, unless they gave the officers their information and promised to drive themselves to the court house themselves. “I gave a couple of them rides home, and they thought that it was a very interesting process they’ve never heard of the before, but the judge did explain why they were taken off of the street so they could move on with the trial,” Sheriff Cramer said. After all of that frustration and bullying the jurors weren’t even selected, and the entire situation proved completely pointless.